The Commercial Aviation Association of South Africa (CAASA) has released its updated aviation activity index, which shows an improvement in the second quarter of 2017 after a “disappointing” first quarter. Economist Dr Roelof Botha, in presenting the updated index during a function at Lanseria International Airport last week, noted an improvement in aviation activity in South Africa in the second quarter of 2017 compared to average quarterly values since the first quarter of 2014. “After a disappointing first quarter, the majority of indications comprising the CAAI [CAASA Aviation Activity Index] recovered in the second quarter of 2017.” Increases recorded from the average quarterly values since Q1 2014 include a 43% increase in the value of imports of larger helicopters; a 3.7% increase in the quantity of imported aeroplanes between 2 and 15 tons; and a 5.3% increase in the value of imports of spares. Air traffic movements increased at a number of South African airports, including Durban (5%), Cape Town (2.9%), Pietermaritzburg (25%), Rand airport (20%), Grand Central (8.3%) and Lanseria (6.4%). Reasons for the drop in the CAAI since the start of 2017 include lethargic economic growth with several key sectors of the economy having contracted in the first quarter of the year; declining levels of business confidence; and relatively high domestic interest rates, which have eroded the competitiveness of the aviation industry. According to the index, the value of aircraft exports (below 15 tons) in the second quarter of 2017 was R400 million, down from over R800 million in the first quarter of 2016. The value of imports of aircraft and spares in the second quarter of 2017 was R600 million for aircraft and R810 million for spares, down a little from the same period last year. The average quarterly value of imports of helicopters and aeroplanes under 15 tons has decreased slightly, going from R450 million in 2016 for aeroplanes and R275 million for helicopters in 2016 compared to over R500 million for aeroplanes and over R250 million for helicopters in 2015. In spite of disappointing results for the first quarter of 2017, CAASA said that commercial aviation activity in South Africa is alive and well and outperforming most other sectors of the economy by a considerable margin. CAASA said the rationale behind the Aviation Activity Index is to recognise the indispensable role that commercial aviation plays in facilitating the rapid transport of decision-makers in all spheres of society and contribute more data on the aviation industry. 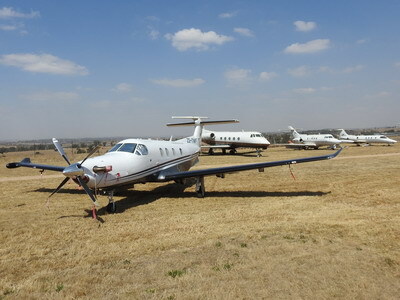 Some 25 indicators are used in the index, including the value of imports of helicopters; the value of imports of aeroplanes (of a mass less than 15t); the physical quantity of imported aircraft; the value of imports of aircraft spares; the value of exports of aircraft; the air traffic movements at six ACSA (Airports Company of South Africa) airports and the air traffic movements at seven key non-ACSA airports.